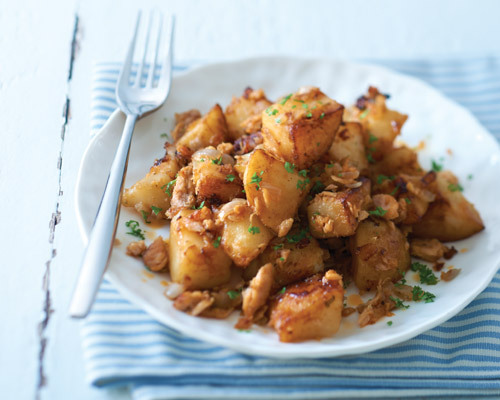 Toss potatoes with paprika or chilli powder. Heat 50ml oil in a non-stick pan and fry potatoes until light brown. Add in onions and tuna and continue frying until potatoes are cooked. Adjust seasoning with a little salt and serve with some chopped fresh coriander or parsley. Tip: This can be a dish on its own or eaten as a side to a beef steak, or tossed in a salad.